Isolation technology is suitable for challenging processes needing very low AMC molecular contamination and ultra-clean systems integration, such as aerospace device assembly or semiconductor manufacturing. Molecular and microbiological contamination levels in aerospace and semiconductor manufacturing are huge requirements and are all in constant improvement. 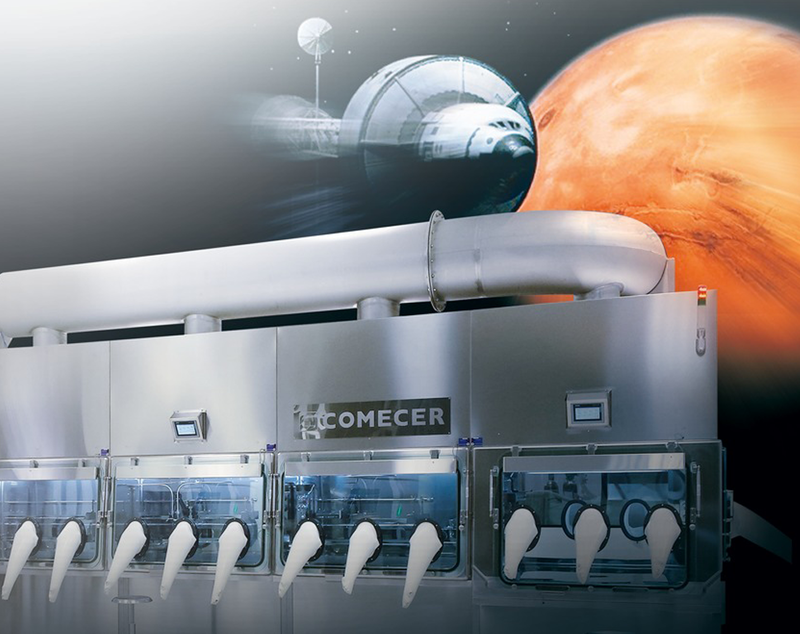 Isolation technology is evolving to cover and meet these requirements, so processes can be confined in space with dedicated and filtered airflow, while dedicated monitoring systems for molecular or microbiological control can be integrated for continuous sampling. Isolators are designed following a detailed R&D analysis of all the critical process features, for example: molecular and absolute air filtration systems with special filters, special systems for parts and components cleaning, materials chosen to match low off-gassing release and high performance H202 decontamination systems.